Over the years we have learned that mutual fund is the best tool of wealth creation. 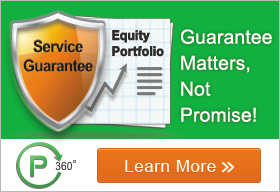 It's the best and the most convenient method to reap the benefits of the ever-growing equity market. Also, the advantage of compounding only makes it better. In our previous article on Mutual Fund, we discussed at length about the functioning of a mutual fund. Naturally, after understanding the concept you must be wondering what funds to invest in? This is the part where seemingly simple mutual fund investment hits the choppy waters. The mutual fund is the universe of different funds of different types, different asset classes, different themes, etc. For example, if you want to invest in one fund there are variants like direct, indirect, dividend or growth, etc. Then there is a question of asset class i.e. debt, equity or gold? All these complexities of mutual fund make it difficult for a layman to find best performing funds and eventually you have to go to the mutual fund distributor to seek help. It's not a bad thing to seek help from an expert financial advisor. In fact, it will only do you good to find the best funds. However, here we are trying to give a glimpse of the world of funds which are doing well currently. We will look at all the best-performing funds from all the categories. This exercise is just to give you a clear idea of what you should be looking for while choosing a fund. In no way should this be taken as a fund recommendation. How to find best performing mutual funds? If you get to analysis, it might turn out that finding good mutual funds is just as difficult as finding good stocks. There are various things that you need to look into like the history of the fund house, ratios like expense ratio and Sharpe ratio, the performance of the fund manager and the fund's alpha and beta. That sounds too much of work, doesn't it? It's not just about whether to buy a SBI mutual fund or a Reliance mutual fund or HDFC mutual fund? Once you zero in on a fund then you have to choose whether to go for the direct or regular fund? Whether to opt for dividend or growth fund? We will discuss mutual fund analysis in detail in the latter part of the article. For now, let's focus on the best performing funds. SBI Small & Midcap Funds (Mid & Small cap) - Is the open-ended fund from one of the biggest fund houses of India - SBI. It is one of the high ranking funds for last several quarters. It fares well on all the growth parameters. The fund has Asset Under Management (AMU) of Rs.943 crore which is extremely high compared to any other equity fund. The fund has the S&P BSE Small Cap as a benchmark. The fund has steadily outperformed the peers like Franklin India Smaller Companies Fund and L&T Emerging Businesses Fund for last 5 years. The expense ratio of the fund is 2.28%. Needless to say, being an equity mid and small cap fund the Riskometer rating is a moderately high risk. Invesco India Growth Fund (Large Cap - Blue Chip) - Is the open-ended fund from Invesco India fund house. The fund is focused on large-cap stocks (Bluechip). The fund has AMU of Rs.301 crore as on 31st Jan 2018. It always makes sense to have at least one Blue Chip fund in your portfolio. Invesco India large-cap fund can be considered as it is one of the highest ranking funds with consistent growth. At the same time, the numbers are quite impressive. S&P BSE 100 is the benchmark of the fund. Since its launch in August 2007, the fund has given an annualised return of 11.33%. Riskometer rating is a moderately high risk. Tata Retirement Savings Fund - Moderate Plan - Is the open-ended balanced fund. Balanced funds are also referred to as hybrid funds. Tata Retirement Savings Fund is from the Tata Mutual Fund. The AUM of the fund is Rs.502 crore as of 31 Jan 2018. The asset allocation of the fund stands at 74.9% in equity and 23.7% in debt. The fund has given 18.52% returns since its launch in November 2011. As the major part of the fund is allocated in equity the Riskometer rating is a moderately high risk. The good thing about the balanced fund is that it gives you the best of both the world. You get handsome growth from equity and the much-needed stability from debt. Franklin India Income Opportunities Fund - Is an open-ended debt fund in the 'credit opportunity' category. Franklin Templeton India is one of the most renowned fund houses in India. This fund is the top ranking debt fund amongst the peer group with the annualised return of 9.1% since the fund's launch. Being a pure debt fund the entire asset allocation is in the government and the corporate bonds. Also, the Riskometer rating is Moderate which means it's a pretty safe fund. The point to note here is that debt funds don't give returns as good as equity or balanced funds. The objective of investor while investing in debt fund is not just growth but capital safety with moderate growth. Aditya Birla Sun Life Tax Relief 96 - Is Equity Related Savings Scheme (ELSS) of Aditya Birla Sun Life fund house. ELSS is essentially a tax saving mutual fund. Talking about this fund, it is one of the top ranking ELSS in the peer group which has biggies like Aditya Birla Sun Life Tax Plan, Escorts Tax Plan and Principal Tax Savings Fund as peers. This fund has given 25.63% returns since its launch in March 1996. The fund has S&P BSE 200 as a benchmark. As of 31 Dec 2017, the AMU of the fund is Rs.4759 crore. ELSS gives duel advantages - it gives good returns at the same time you can claim up to Rs.1,50,000 deduction under section 80C. Sebi's new re-categorisation norm might change the way your equity mutual funds are defined. Sebi has defined categories of schemes according to where and how these schemes will invest. Let's take a look at how these norms will affect your fund. Multi-Cap Funds - No major change in the multi-cap fund. Multi-cap funds will continue to invest in the stocks of all the market capitalisations. These schemes are at liberty to invest in large-cap, mid-cap or small-cap stocks. However, a minimum of 65% of the fund should be deployed to equities. Large Cap Funds - As the name suggests, large-cap funds (Also, Blue Chip Funds) will have to invest at least 80% of their funds in large-cap companies. The large-cap funds are considered less risky and are known to provide modest returns compared to mid and smallcap funds. Large and Mid Cap Funds - As per the SEBI guidelines, large and mid-cap funds will have to invest at least 35% in large-cap stocks and 35% in midcap stocks. In terms of risk, these schemes are slightly riskier than large-cap schemes but have the potential to provide higher returns. Mid Cap Funds - The SEBI guideline have least affected this category. These schemes now have to invest at least 65% of their assets in midcap stocks. Since the funds will invest in mid-cap companies, they pose a higher risk. These funds have the potential to give higher returns. Small Cap Funds - Under the new guideline, small-cap funds will have to invest 65% of its assets in small-cap stocks. These funds will invest in small-sized companies which may or may not become big companies. These funds are extremely risky but can give extraordinary returns. ELSS (Equity Linked Savings Scheme) - The ELSS category has remained unchanged. It is obligatory for tax-saving funds continue to invest 80% of their assets in equities in accordance with the Finance Ministry notification in 2005 on Equity Linked Savings Schemes. The ELSS will continue to have a lock-in period of 3 years and will provide tax benefit under Section 80C of the Income Tax Act. 1. Performance Ranking - More than the recent or long-term performance of any scheme its ranking amongst peers should be a higher parameter. The best way to find out the ranking is to examine the quartile ranking which gives a clear idea of how the fund has been performing in the quarter on quarter basis among its peer group. The reason the quartile ranking is a clear indicator is that each quartile comprises of 25 percent of all the schemes. Thus it becomes easy to select the scheme that remains in the top quartile most of the time. In case you find your scheme going below 3rd quartile repeatedly it suggests that it's time to exit the scheme. You can access all the data and the rankings from the factsheets that all the Asset Management Companies (AMC) publish on their websites also sites like Moneycontrol and Value Research Online have all the data. 2. Ratio analysis - Ratio analysis is important. Risk and return ratios like standard deviation, Sharpe ratio, etc. can be useful to narrow down your options. Along with ratio analysis, one should make it a point to check out the ALPHA of the fund. Alpha shows us what extra or less the fund manager has produced out of a given portfolio in comparison to the benchmark. To put it simply, alpha is the performance rating of the fund manager. It gives a clear indication of how frequently the fund manager has generated positive alpha in last few quarters. It also helps to keep an eye on its consistency on the regular basis. 3. Total expense ratio - Expense ratio is an extremely important parameter that you need to look at while selecting any mutual fund. All expenses of the fund management and distribution are sustained by the scheme. Which means you (An investor) has to bear the cost of all these expenses. This clearly suggests that high expense ratio will hamper the funds returns. Though SEBI has capped mutual funds total expense ratio it's always better to opt for lower expense ratio unless you are getting some extraordinary returns at the cost of higher expenses. 4. Fund manager's experience - A fund manager plays an extremely critical role in the funds performance. Though it is a process-oriented approach, a fund manager is the final decision maker and his experience and viewpoint come to use from time to time. According to SEBI guidelines, it is mandatory for all the AMCs to disclose the names of the fund manager in the factsheet. You should always be aware of who is the fund manager of the fund you are investing in and what is his/her track record. You should analyse the performance of other funds that he/she is managing or has managed in the past. If the fund manager of the fund has recently been changed there is no need to panic. Just keep track of his/her performance through alpha and quarter on quarter performance. In case you feel that due to change in the fund manager there is a significant effect on the funds performance and it does not agree with your risk appetite then you may make a decision to exit. 5. Scheme asset size - This parameter is different for debt and equity schemes. In equity, the usual asset size is hundreds of crores, however, in debt fund, the number goes up to thousands of crores as the per investor investment value is greater in debt funds. In fact, 90 percent of total assets of the mutual fund industry is invested in the debt market. The point is that your scheme's assets should have a considerable AUM. Less AUM in any scheme is considered risky as you have no knowledge who the investors are and their quantum of investments in the scheme. In case a big investor exits the fund, it might impact the performance of the fund badly and other investors in the scheme will have to bear the brunt. In the funds which have a larger AUMs, such impacts get easily absorbed. Another advantage of high AMU is that it helps in decreasing the total expense ratio of the fund. Before investing in a scheme of your choice, you must choose the fund houses on which you have full faith to invest your hard-earned money. Try to find an AMC that has a solid presence in the financial world and has good range of funds with fairly long and steady track records. Standard deviation (SD): Standard deviation measures the volatility of the returns from mutual funds over a certain period. It shows you how much the fund's return can deviate from the historical return of the scheme. For example, if a fund has a 12% average rate of return and if it has SD of 4%, the returns will vary from 8-16%. Sharpe Ratio: This measures how good the fund has performed with respect to the risk taken. The Sharpe ratio is the average return earned in excess of the of the risk-free rate per unit of volatility or total risk. It sounds a bit confusing but just remember the higher the Sharpe Ratio, the better the performance of the fund in proportion to the risk taken by the fund manager. Alpha: Alpha measures the performance of the fund against its benchmark index. To put it in simple terms, an alpha is the excess return of a fund compared to its benchmark index i.e S&P BSE, Nifty Midcap, etc. If you read that any fund has an alpha of 10%, it indicates that the fund has outperformed its benchmark by 10% during a specified period. Beta: It measures a fund's volatility with its corresponding benchmark. It shows how much a fund's performance would swing as compared to its benchmark. If you read a fund has a beta of 1 it means the fund will move as much as the benchmark. However, if a fund has a beta of 1.5, it suggests that for every 10% movement on either side, the fund's Net Asset Value would be 15% in the respective direction. Disclaimer - The mutual funds mentioned in the above articles shouldnt be considered as recommendations of Niveza. Consult your financial advisor before investing in mutual funds.